As you progress your online personal training business adding your own exercise videos is something a lot of trainers like to do and many clients appreciate. While it's certainly not essential (especially in the early days) it can be a nice touch that adds an extra level of personalisation as your coaching business grows. As with everything related to high quality online training PT Distinction makes it really easy to add your own exercise videos directly from any device. We also make it very convenient by giving you options to do this directly inside the program builder. This video shows how to save masses of time by simply swapping our videos, or pictures, descriptions etc.. for your own. This means you can keep most of the hard work we put in to each exercise but make them your own. 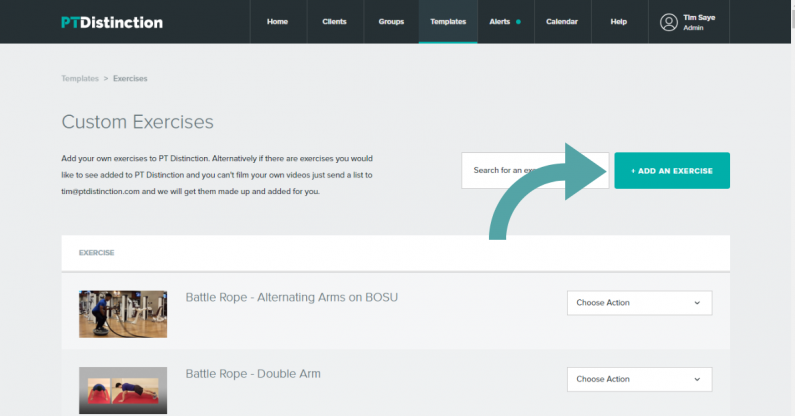 This video shows how to set up your own custom exercises, and include your videos, photos, name, description, and results tracking metrics if you wish to. Hosting videos directly in the software creates a first class, professional product for your clients. Some trainers ask about integrating videos from YouTube which on the surface seems like a great idea. Sadly, when we put further research in to this idea we found out that integrating YouTube videos can have a huge negative effect on your business and your reputation. That said you can easily download your YouTube videos to add them in a way that keeps your business secure and your reputation great.